Running your own business can prove to be quite a challenge. Fashion and apparel stores especially, call for creative and standout branding. This is because it’s such a huge market to be in. You’re facing hundreds, even thousands, of entrepreneurs, who belong in the same industry as you. You’re branding, therefore, has to be remarkable, memorable, and trustworthy. Of course, one of the most important aspects you have to deal with is the brand and image of your business. This is something that’s heavily translated in your prints, designs, ads, and other documents. Apparel mockups are also of utmost importance. 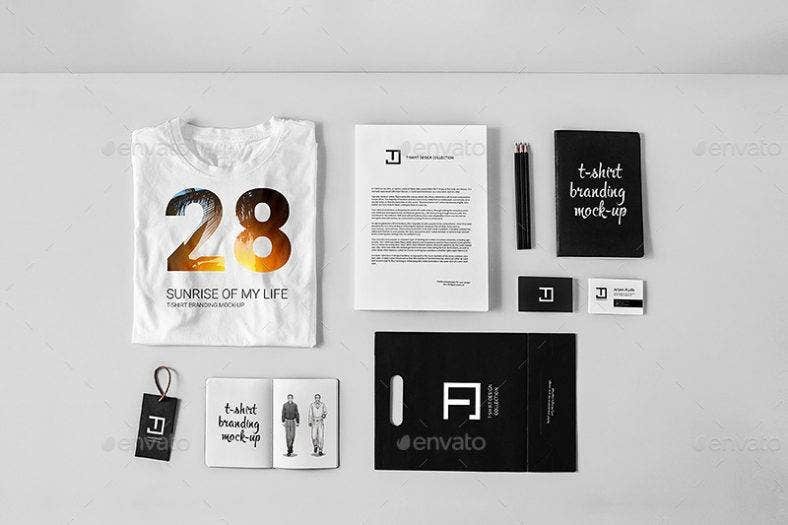 Thus, we’ve provided you with some of the best mockup templates for your apparel, stationery, and cards. Download and edit templates for free or get premium designs right here! This mockup design keeps it simple and clean with minimal designs and a monochromatic color scheme to emphasize the apparel design. 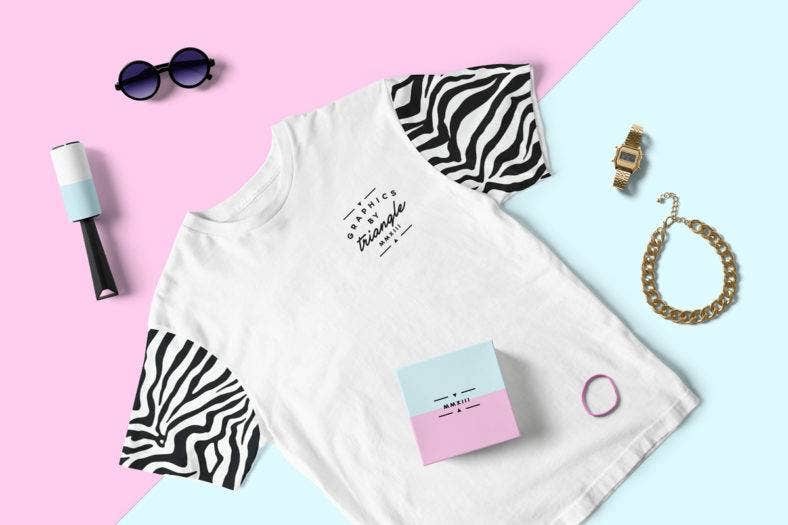 Incorporate your T-shirt design seamlessly on this mockup to get a preview of how your design can create a harmonious image with that of your packaging, stationery, and product labels. The Made Apparel Mockup Template gives you a variety of t-shirt mockup templates to choose from. From tank tops to cropped shirts, see your designs come to life in a realistic and modern setup. With this set, you’ll also get different marble textures and backgrounds to get creative with. They’re easy to edit and are surely of high quality. 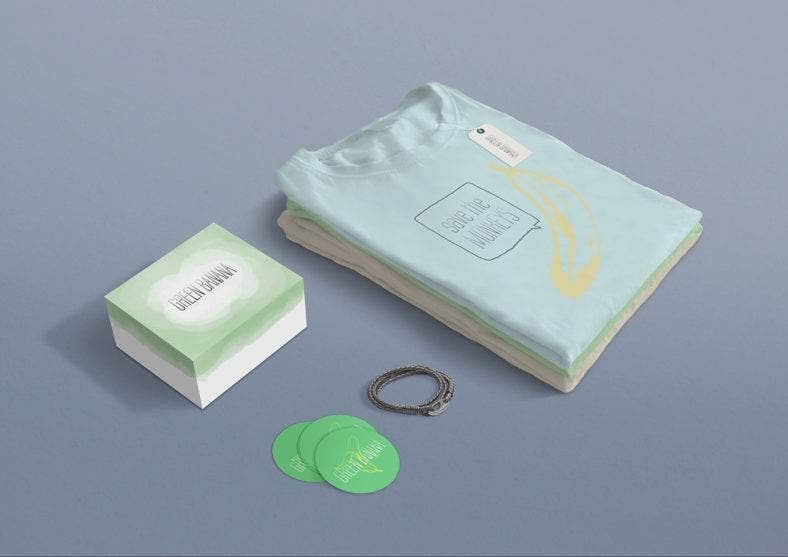 Get yourself a t-shirt branding template that’s just as breezy as the summer vibe. 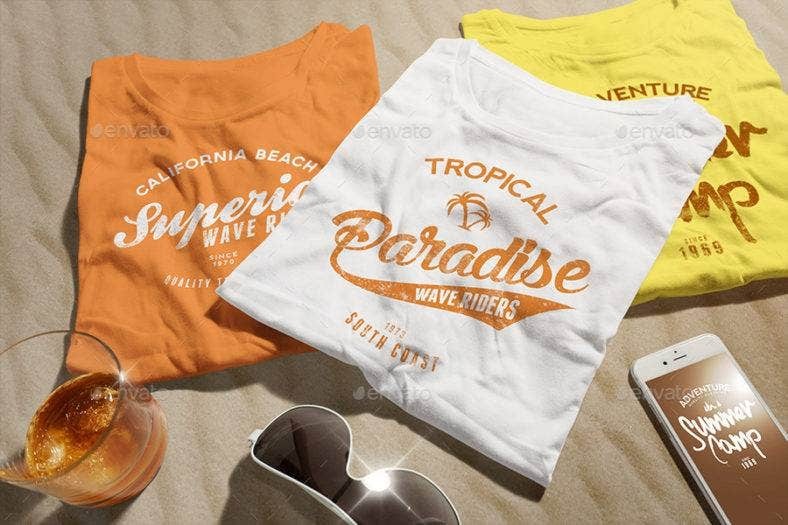 This Summer Apparel Mockup allows you to customize the colors of the shirts according to your preference. It is packed with different design elements to create a realistic scene for your brand. Download this Pastel Fashion Branding Mockup and design your shirts, stationery, and fashion labels all in one go. 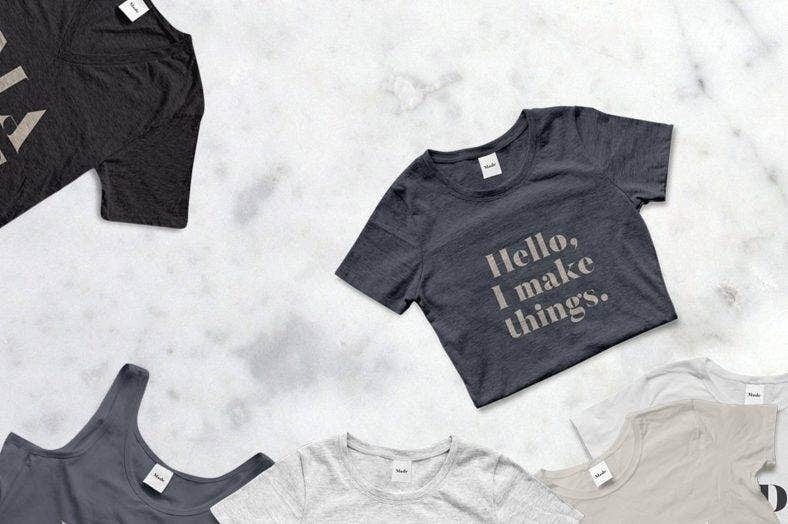 Effortlessly create a fashion brand that’s uniquely your own with this apparel template. You can customize a scene to incorporate all your preferred designs and elements. Download this mockup template with its unique color swatches, font-availability, and diverse design elements. The Ultimate Apparel Mockup Generator is definitely the ultimate design tool you’ll need to create a top fashion branding design. Get this mockup generator and give yourself a wide variety of realistic layouts that are highly customizable and user-friendly. You’ll get over 300 clothing mockups with two real models in over a hundred different poses so you can see your designs in every possible angle. Play with prints and colors with this Creative Apparel Mockup Template. You’ll get a line of design elements and materials to create a true-to-life depiction of your brand. This template is perfect for the more eccentric apparel designs. 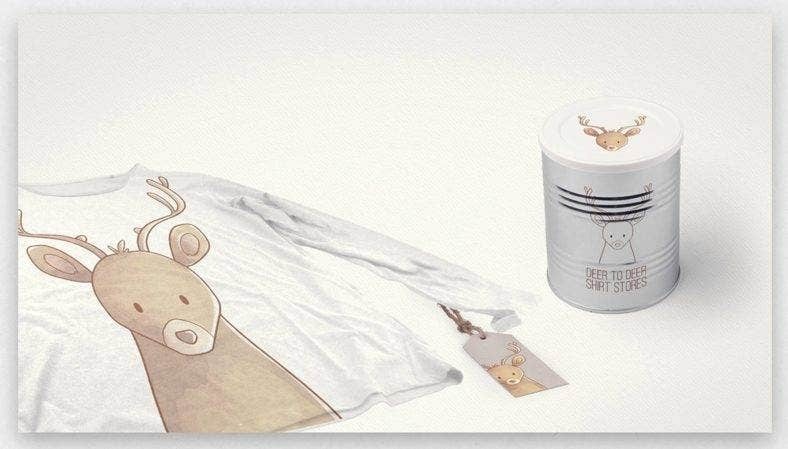 Create an inspirational brand design for kids with this Children’s Apparel Mockup Creator. You’ll get so much more than just a sweater and tag mockup with this bundle. Get all kinds of apparel mockups from shoes to packaging. Edit these mockups easily and have your brand revealed through clear and quality templates. 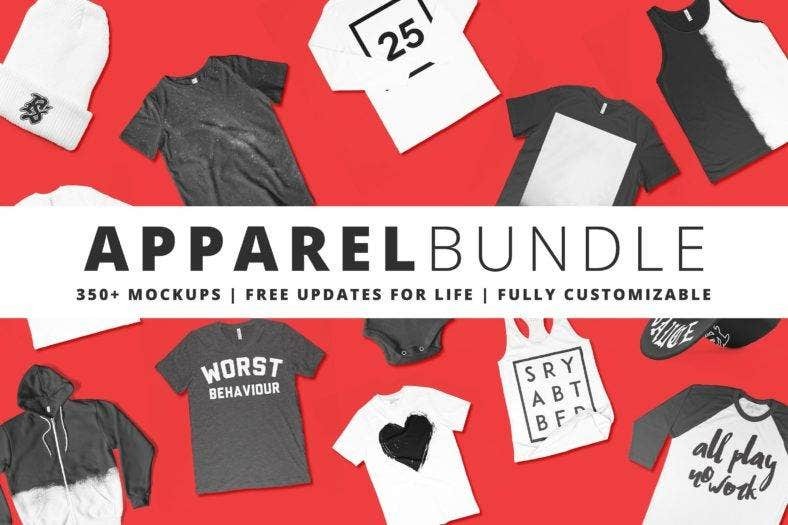 Download this Apparel Mockup Bundle to get over 300 mockups for your apparel and shirt designs. You’ll be sure to get free updates as soon as you get a hold of this mockup bundle. It’s great for almost any kind of casual wear. Mockups are incredibly handy when trying to establishing a good brand. They’re the necessary tools to see how well your designs can function in real life. Create a realistic scene for your apparel. With these templates, you’re sure to get quality outputs for your visual identity designs. 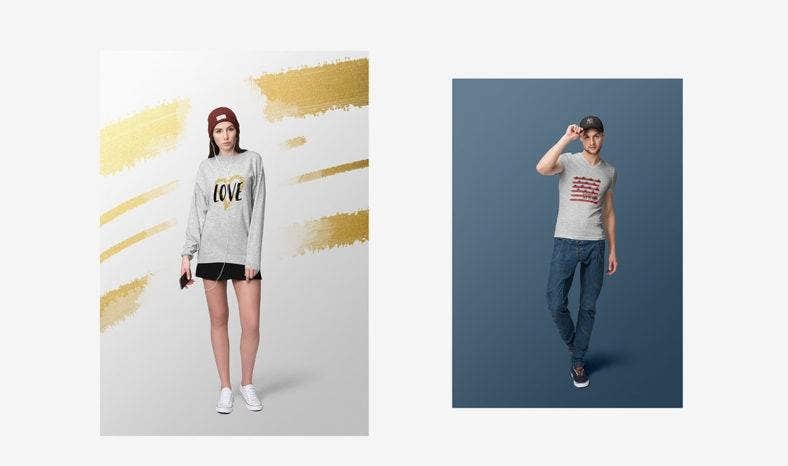 Download your choice of apparel mockup, and customize with ease with these easy-to-edit layouts.